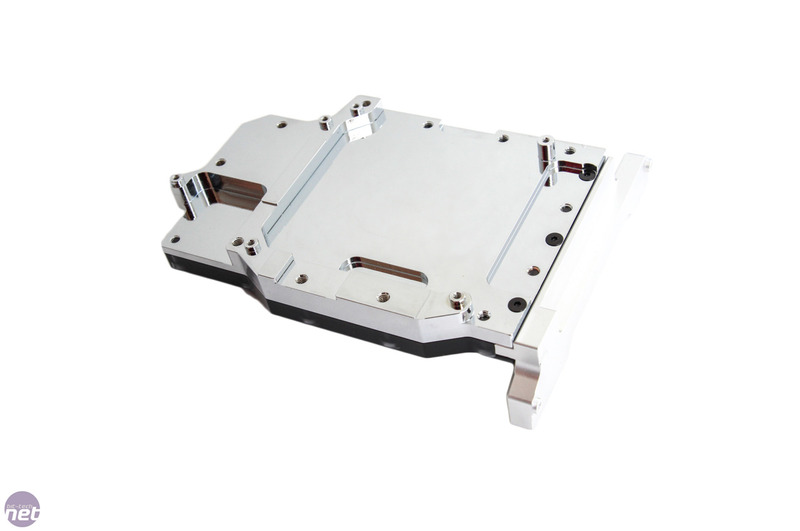 With mini-ITX cases and motherboards appearing in more systems than ever, it was only a matter of time till someone released a full-cover waterblock for one of the several recent enthusiast-orientated motherboards currently on etailer's shelves. In fact we've been badgering the likes of EK for a few years about it. 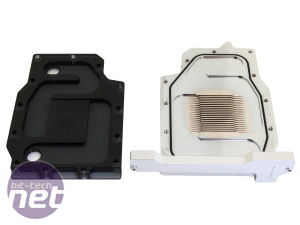 The simple reason is that if small mini-ITX cases that can, with or without a little modding, support a custom water-cooling kit, there's clearly some advantage in cooling VRMs and chipsets in addition to the CPU to deal with the high heat concentration. 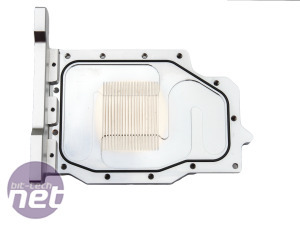 Airflow is never going to be as good as in a full tower case so in some situations, especially overclocked gaming systems, the heat can certainly be an issue. 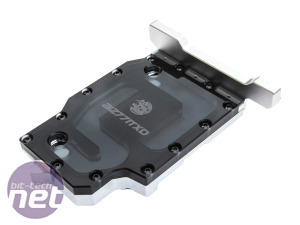 Thankfully our prayers were answered when we recently spotted legitimate renders of a fantastic-looking full-cover waterblock for Asus' P8Z77-i Deluxe, followed quickly by versions for the new Maximus VI Impact too. 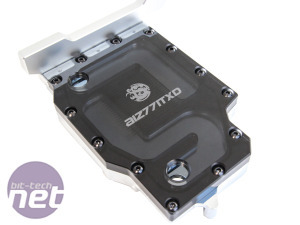 The company first out the starting blocks then is Bitspower with its AIZ77ITXD waterblock. 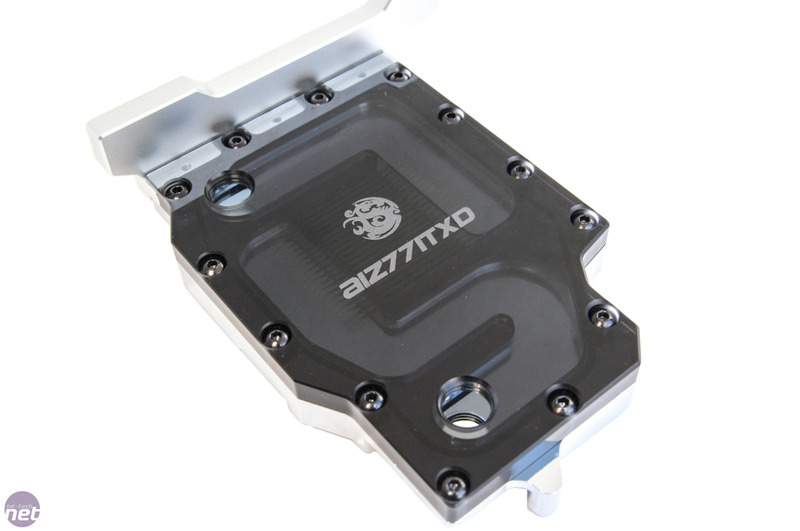 Available in clear and ice black (reviewed) nickel-plated versions, the AIZ77ITXD retails for $119 - we're currently waiting on a UK price and supplier, which is likely to be in the region of £80 but Performance PCs do ship internationally if you can't wait for stock to hit the UK. 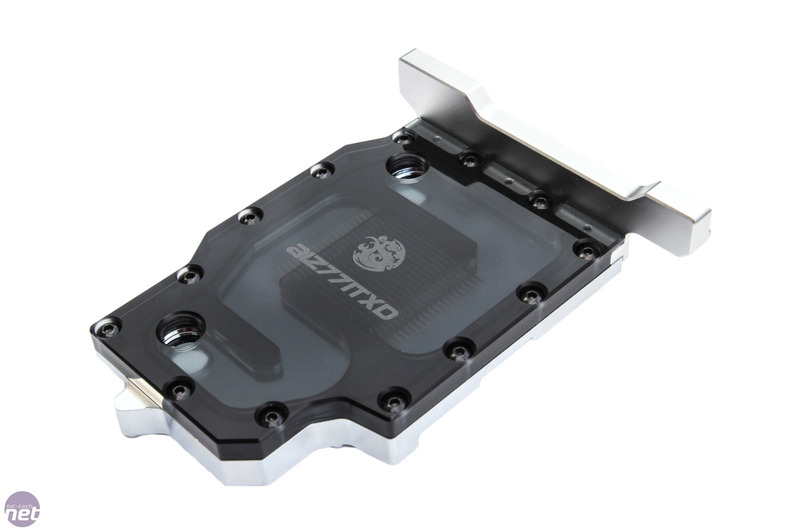 This isn't terrible at all given that you're essentially getting three waterblocks in one here - CPU, VRM and chipset with these and typical full-cover waterblocks usually costing a lot more. 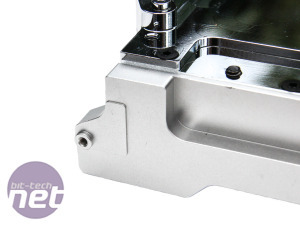 As you can see it's one of the first waterblocks we've seen to actually bend round 90 degrees and cool on two axis to deal with the P8Z77-I Deluxe's daughterboard. 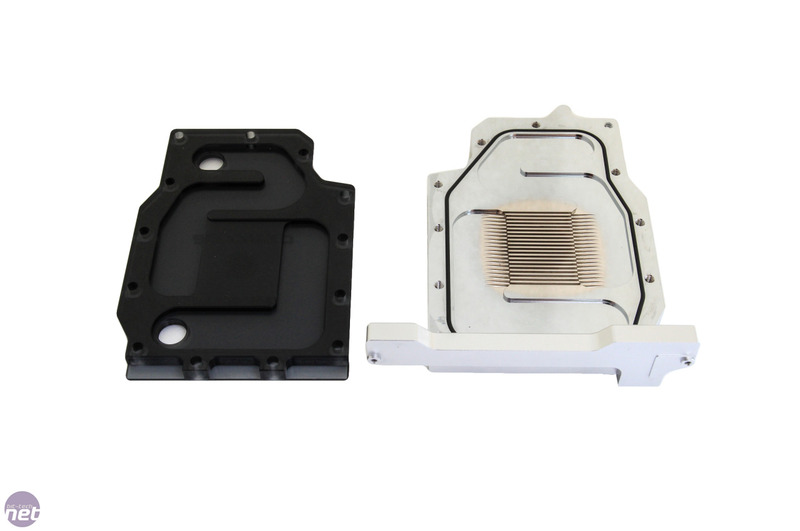 Our Ice Black version allows you to see a little of what's going on inside and will better-match the black Acetal waterblocks out there, but if you're keen on seeing the coolant then you'd best opt for the clear version. 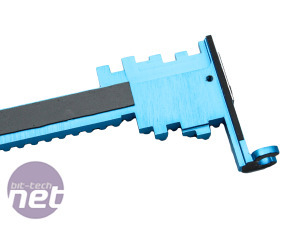 While you might think it would have to be one of the most complicated blocks around, the AIZ77ITXD is actually fairly simple. 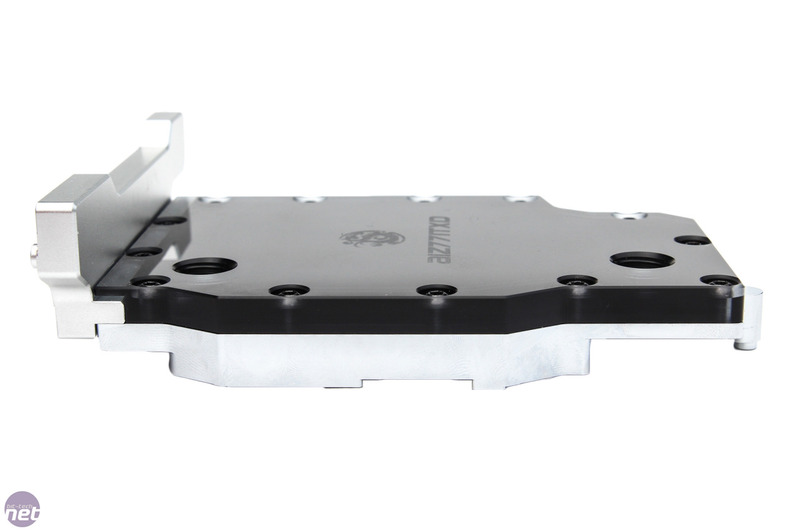 The VRM contact plate is held to the main waterblock using three screws. 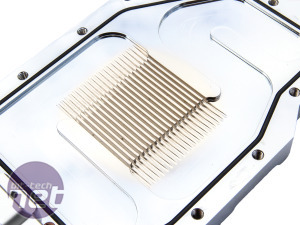 There's not a massive amount of contact area here but inside, the coolant passes within 10mm right the way along so it should deal with heat fairly well. 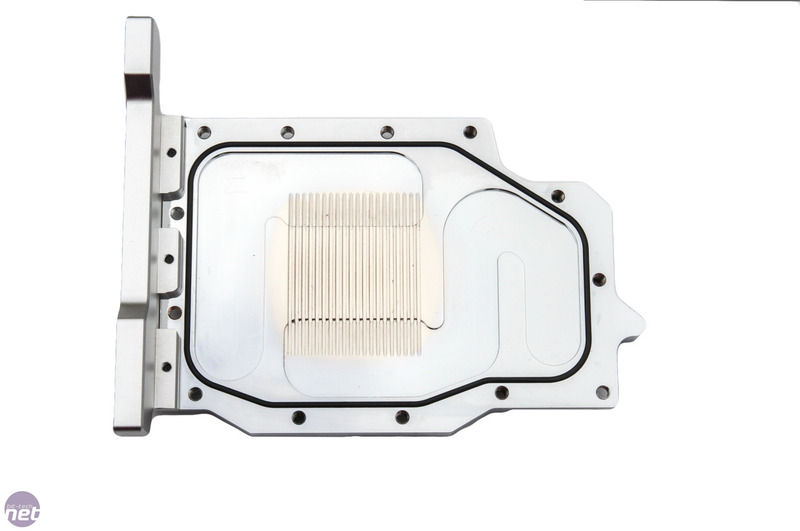 there are two G1/4in ports that will likely need fairly short-threaded fittings so not to impede the coolant flow underneath. 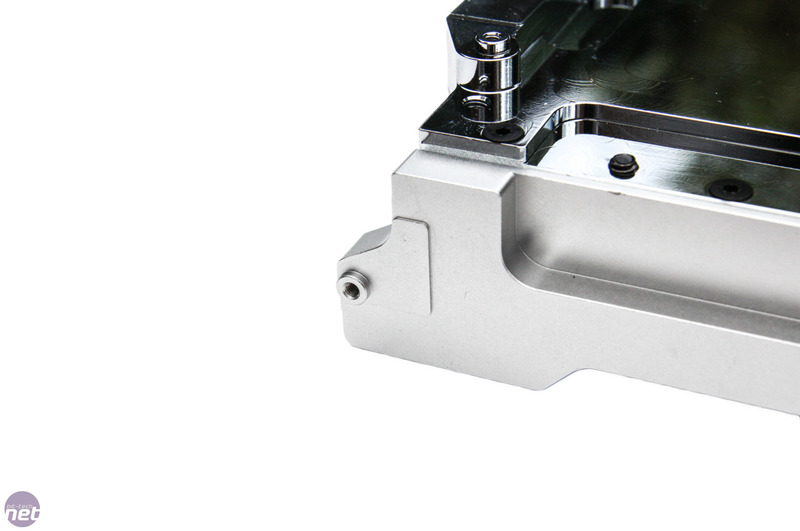 The top is riddled with hex screws holding the top section to the waterblock underneath, sandwiching an O-ring. 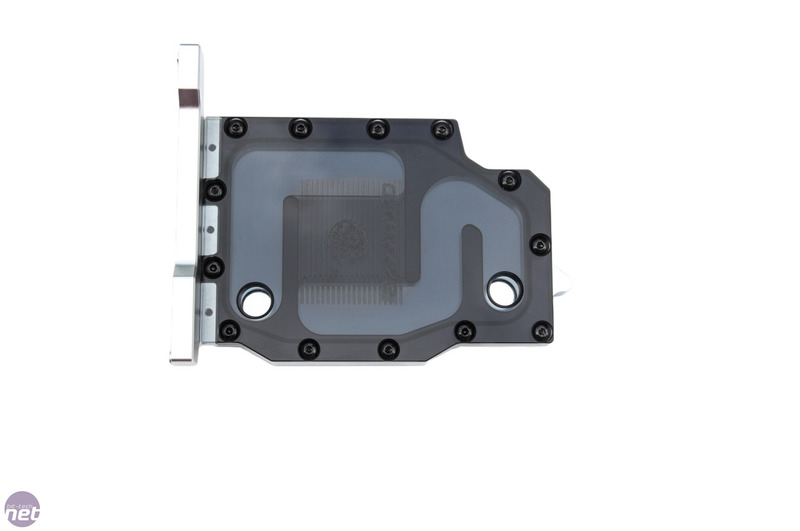 It's very similar to your average full-cover waterblock really, not least of all due to the low impingement design inside. 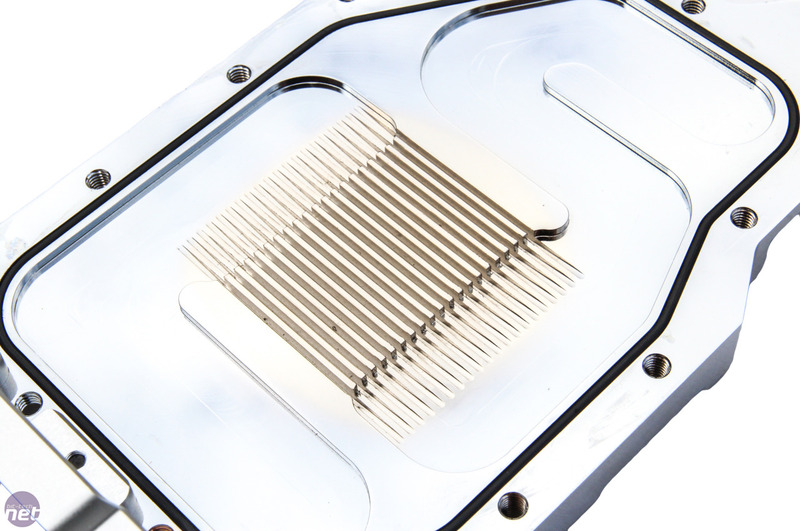 It's pretty basic for a CPU waterblock and we can see improvements here, such as adding a denser fin array and having the inlet sit over the top to boost turbulence. Funnily enough, this is exactly what Bitspower has done with the block for the Maximus VI Impact. 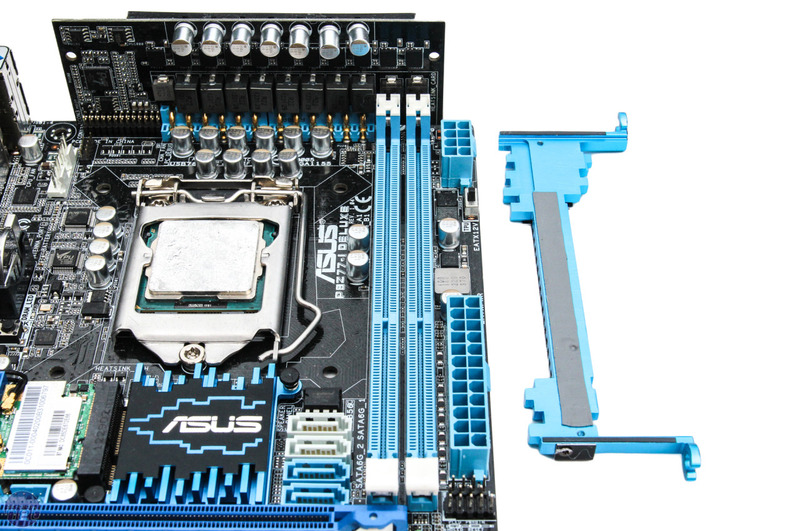 To fit the waterblock to the Asus P8Z77-I Deluxe, you'll need to remove both the VRM daughterboard heatsink and chipset heatsink, neither of which is a particularly demanding task. What was immediately obvious having read the instructions is just how many contact points there are, even compared to the stock heatsinks. 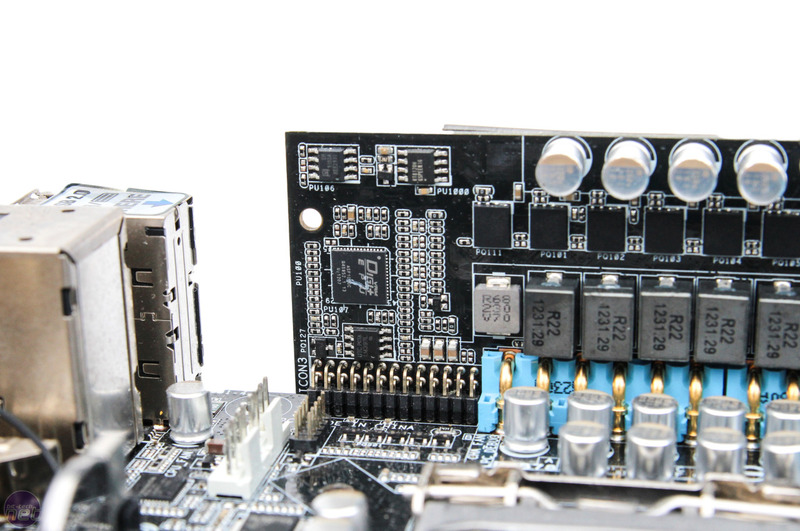 It cools an additional three IC's on the daughterboard as well as the chokes and a whole host of ICs around the CPU socket, as well as managing to deal with the WiFi module too. Water-cooled WiFi anyone? 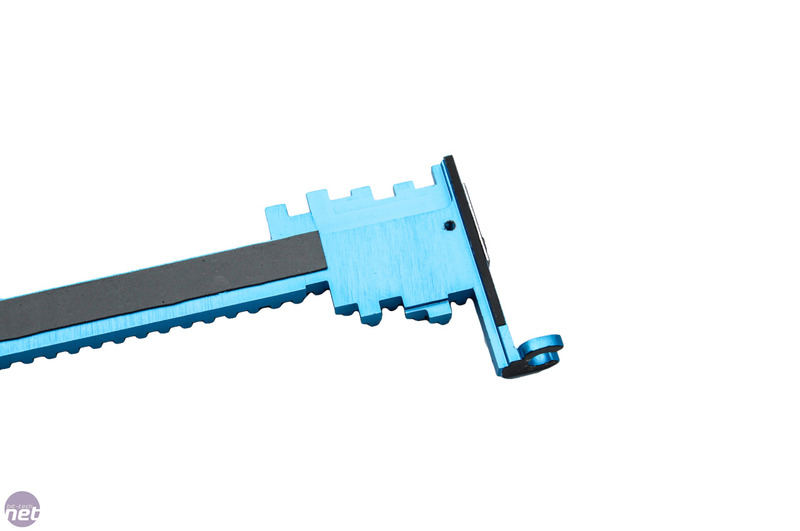 The fiddly part is dealing with the thermal pads, which you'll need to chop up yourself. 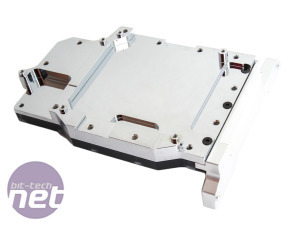 There's plenty to spare though, but one short cut we can recommend is laying lengths of pad across the daughterboard instead of cutting individual pieces - we've done this with the VRMs. 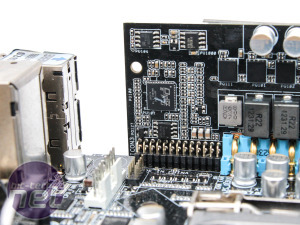 There are two screw holes on the VRM daughterboard and six for the main PCB and Bitspower also includes Arctic Silver Ceramique 2 to apply to the chipset. 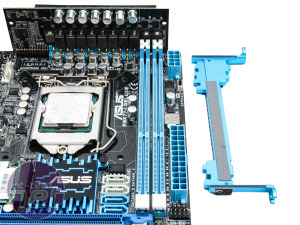 Installation is otherwise straightforward and logic suggests fastening the daughterboard screws first to allow the waterblock to fit right up tight against it before dealing with the underside.